Tall Trees Snack Shop is a farm based project started by Marcy Taubes and Sarah Trainer in 2014. Growing food, making snacks and gathering together are essential everyday acts that we celebrate. We can be found along the coast of Maine, popping-up on farms, at artisan sales, in coffee shops, and occasionally around the city of Portland. The food we make expresses our love of people and place. By using organic ingredients, that are mostly grown by us, friends and neighbors, we hope to sustain and improve our environment and our local networks. The diversity of flavors that each season brings is our creative inspiration. Connections at the table (or on a picnic blanket in a field) can be small, but significant ways to make our communities more resilient, more open, more joyful. And, more delicious. Marcy Taubes is a farmer and baker. Growing up in the historic suburb of Concord, MA she spent more time reading the works of Thoreau and Emerson than thinking about the many working farms where her family bought produce at roadside farm stands. 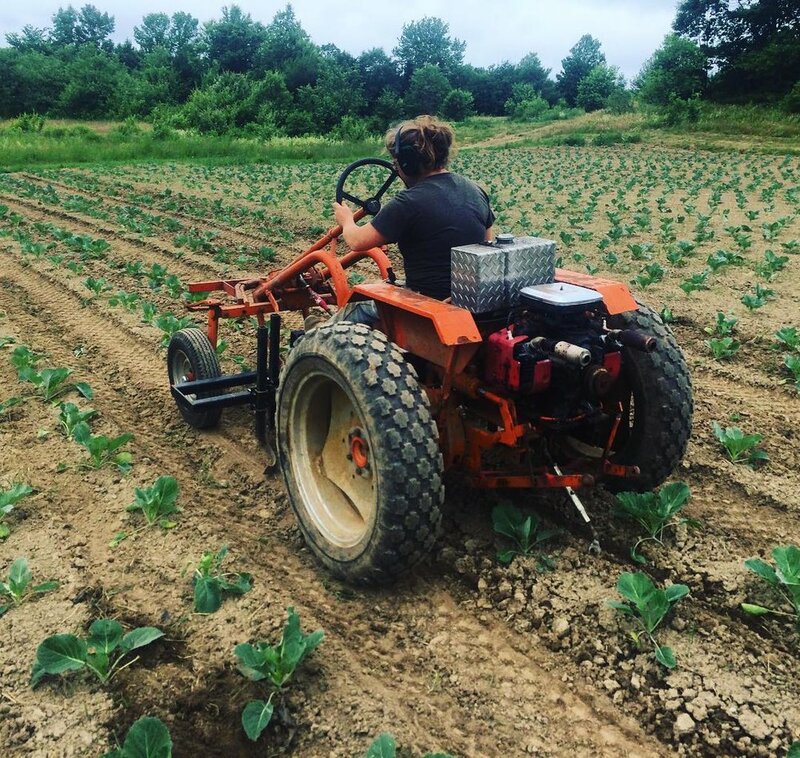 However, after working at Hi Rise Bread Company and spending a year studying food systems in Italy, she came back to her hometown to learn how to farm. Ten years later, she’s still farming. 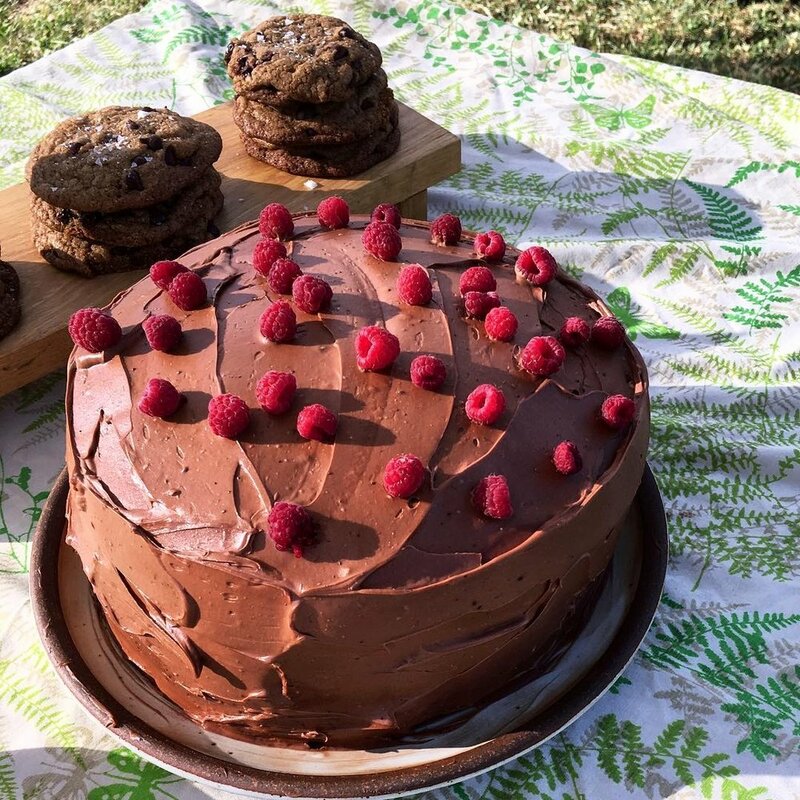 Her home practice of making cake and sharing it with friends grew into this project. She is inspired by the places she’s been and the places she might go. Also, by pizza, swimming, flower gardens, and her grandmother. Sarah Trainer is an artist, chef and cafe manager. She grew up digging for clams and exploring the shores of Rhode Island. After moving to Boston for art school, she realized her other passion, working with food at Hi-Rise Bread Company. She soon realized she was spending more and more time cooking meals for large groups of friends and decided to find a job as cook. Today she works as a cook and cafe general manager at Brassica Kitchen. She often works alongside friends to create pop-up dinners and events. Her favorite days include painting, riding her bike, gardening, making fried chicken and getting back to the coastlines of her hometown.